Jerome Hawley voyaged to Maryland aboard the Ark in 1633. He was a merchant from a wealthy English family. Some of his family had already settled in Virginia. His older brother was the Governor of the English colony on Barbados. As an investor in the Maryland colony, Jerome gave Lord Calvert some money to support the voyage of the Ark and the Dove. Jerome was a Roman Catholic like Lord Baltimore. He and his wife, Eleanor hoped their regious beliefs would be tolerated in the new colony of Maryland. Jerome returned to England in 1635. There he and John Lewger published a booklet called A Relation of Maryland. They wrote this booklet to encourage other English families to come and settle in Maryland. The book describes how the colonists lived. It also tells about the friendship between the English and Native Americans in Maryland. While Jerome was in England, he asked the King if he could work in the government of the Virginia colony. The King made him a councilor and treasurer of Virginia. Jerome also served in Queen Henrietta Maria's household. He died in 1638 with many debts from his investments in English colonies. 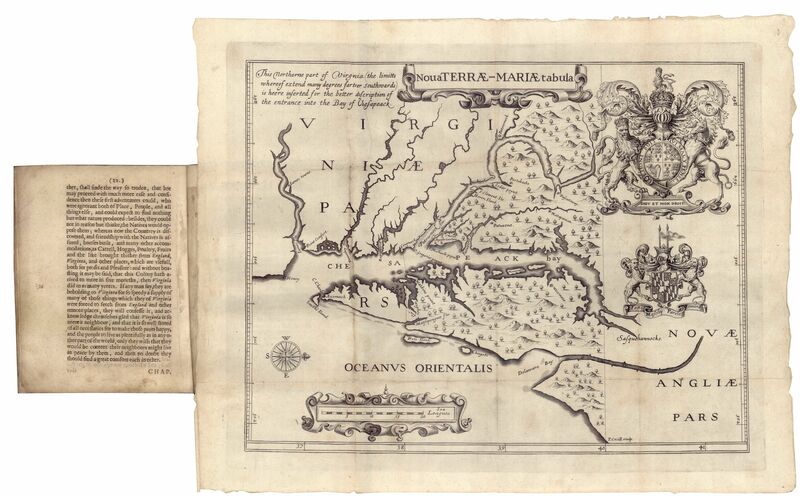 Jerome Hawley and John Lewger's booklet A Relation of Maryland included a map entitled, Nova Terrae-Mariae tabula, 1635. Huntingfield Collection, Maryland State Archives. MSA SC 1399-1-526.